"He's one lab accident away from being a super-villain." Ruth of Silver Screenings and Christine Wehner are our hosts for the Movie Scientist blogathon running February 19, 20 and 21. The subjects can be the good, the mad or the lonely. I would say my "hero" is "good and mad!". 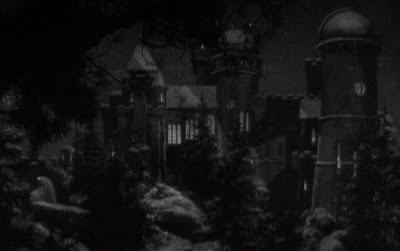 Dr. Janos Rukh (Boris Karloff) lives in a castle/compound high in the Carpathian Mountains. On the surface of it, Rukh's life is pretty sweet. He has a state of the art laboratory, a staff of servants, a loving mother and devoted young wife, Diana. This is balanced by the accident during one of his experiments that left his mother mother (Violet Kemble Cooper) blind. Perhaps his marriage to the orphaned daughter (Francis Drake) of a late assistant occurred without much foresight. Rukh's stubborn pride has cut him off from his fellows in the scientific community leaving him feeling slighted with an overwhelming need for vindication. Janos shows off his discovery. On an appropriately dark and stormy night wealthy researcher Sir Francis Stevens (Walter Kingsford), who had once scoffed at Rukh's theories, has been invited to see Rukh's latest success. 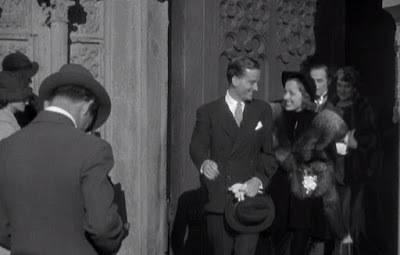 In the party is his novelist wife Lady Arabella Stevens (Beulah Bondi) and her cartographer nephew Ronald Drake (Frank Lawton). On hand to verify Rukh's work is his scientific rival Dr. Felix Benet (Bela Lugosi). Through Rukh's long distance/time traveling telescope the group observes the crashing of a meteor in Africa thousands of years ago. An expedition to the continent is planned and Dr. Rukh joins them in searching for a power source he refers to as Radium X. Mother Rukh does not approve of this plan as she knows that her son does not know how to play nice with others. No matter how old a boy gets, he should always listen to his mother! Joining the expedition is not one of Janos' better ideas. In Africa Janos Rukh splits from the main group in his pursuit of Radium X. Back at the main camp Dr. Benet furthers his research into his field of astro-chemistry, Lady Arabella works on her latest tome, Sir Francis complains about the heat, and Diana and Ronald fall in love. However, they are the noble sort who will not act on their feelings. As Janos as left her for weeks with no word, Diana attempts to join him at his camp. Janos has discovered his Radium X, but it has poisoned his system. Not only does he glow in the dark, but his very touch brings death. He orders Diana away without even seeing her or offering an explanation. How Janos doesn't see this as the end of his marriage is a quirk of his strangely focused thinking. Janos seeks help from Dr. Benet who comes up with a counteractive which will allay some of the symptoms, but is not a cure. Janos must take this counteractive regularly to sustain his life. Back in his mountain compound Radium X is used to cure Mother Rukh's blindness. In Paris Dr. Benet is using Radium X to do much good for as many patients as possible. Radium X is the discovery of the age and the all in the expedition, including Janos Rukh, as given credit. Rukh only sees that he has been cheated of everything, especially in the loss of his wife to another man. The poison has not only affected his body, but his brain. Let's face it, Janos had issues to begin with and this is not a turn for the good. Faking his own death, Janos Rukh now a glowing monster of death seeks revenge on all involved in the expedition. Dr. Benet and newlywed Ronald are quick to lay the proper blame when Sir Francis is murdered, followed by Lady Arabella. The mad man let's them in on his game by terrorizing the city with acts of destruction. Working together, the survivors of the African enterprise and the police lay a trap for the wily and mad Janos Rukh. Will it work? Will love conquer all? What role will Mother Rukh play in the resolution of the horror? 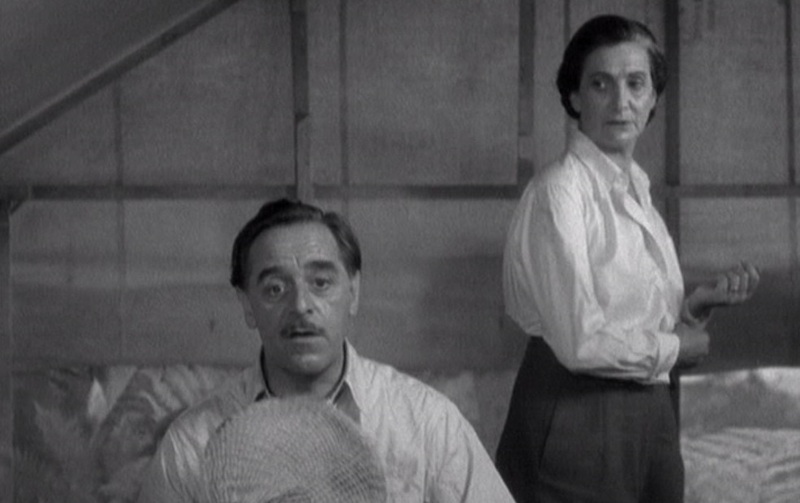 The third of their eight film collaborations. One of the great joys of movies is watching Boris Karloff and Bela Lugosi onscreen together. The Invisible Ray provides plenty of opportunity for them to create interesting, terrifying and admirable characters in a story of scientists going too far (always a favourite) and revenge. The actors do not disappoint; it was not their way. The second of two 1936 joint appearances. Beulah Bondi is particularly fun to watch as the sophisticated lady Arabella whether dressed in hiking shorts and a pith helmet or an elegant dinner gown, she gives wry comments on circumstances and characters, and looks like she's having a grand time. Walter Kingsford is a consistently watchable actor and here he gets to put just the right touch of humour into his role. Why not get married? Janos was dead. It was in all the papers. Francis Drake as Diana has to spend most of her time worrying, but she also has the opportunity to show grit and guts. Frank Lawton's Ronald starts out as just your average cardboard young lover, but toward the end of the movie when things start heating up against Dr. Rukh, he becomes more interesting. 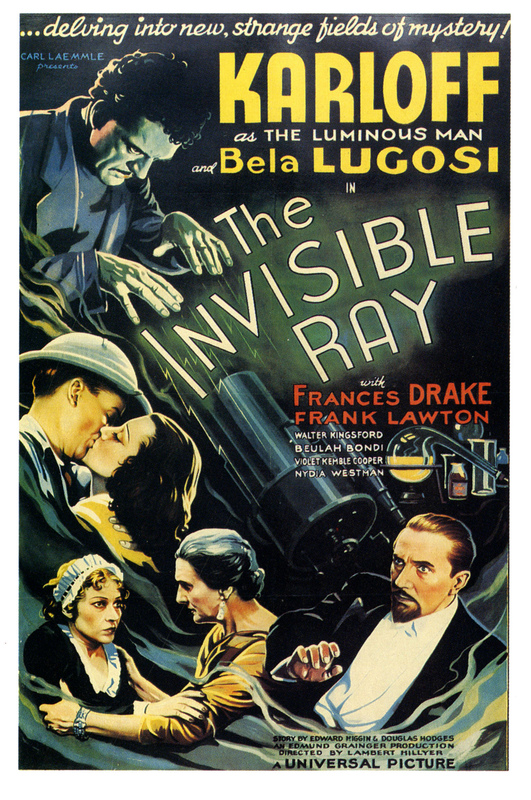 1936s The Invisible Ray is as entertaining a movie of its type as you could wish. Director Lambert Hillyer was an old pro who knew how pace his adventures having made dozens of films, mostly westerns, by this point in his career. That career behind the camera which began in the teens, would continue into the era of 1950s television. The dramatic goings-on are supported by a lovely score from Franz Waxman. The glowing effect is the result of painstaking matte work lead by special cinematographer John Fulton who would go on to receive five Oscar nominations for special effects work, winning for 1945s Wonder Man and 1956s The Ten Commandments. "Science is not good or bad, Victor, but it can always be used both ways. That is why you must always be careful." What a great cast! 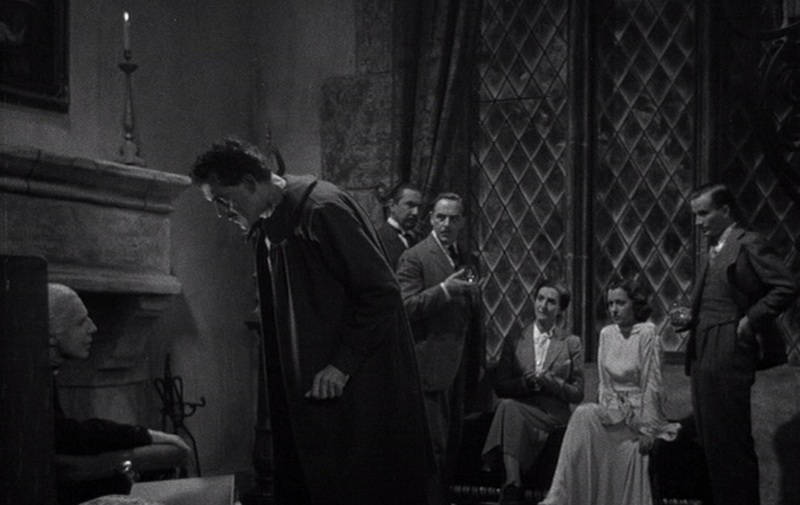 Boris Karloff AND Bela Lugosi AND Beulah Bondi?! You can't do much better than that. This film has a thought-provoking premise: science used for good (curing blindness) or evil (revenge), as Frankenweenie pointed out. Plus, it looks like there are some great 1930s special effects. I've got to see this one! 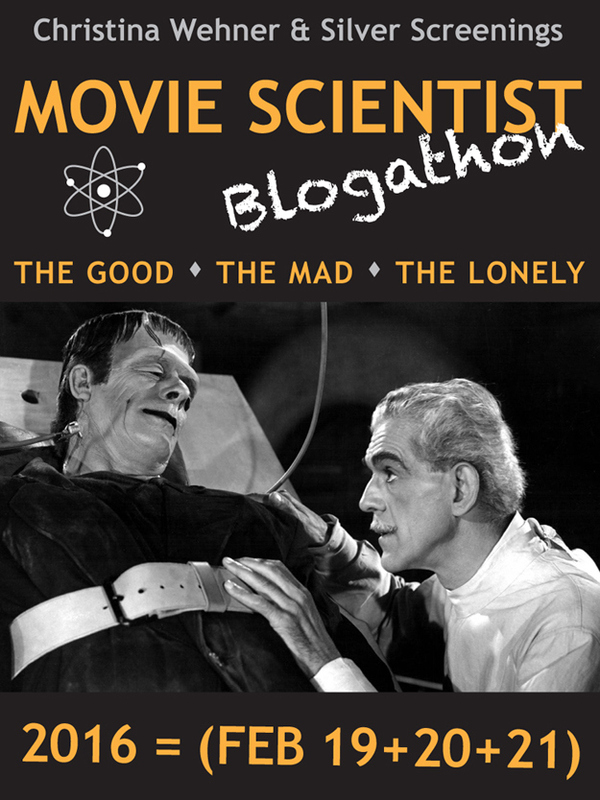 Thanks for joining the blogathon, and for bringing a healthy dose of Radium X with you! Thanks to you and Christina for hosting. 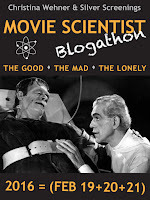 I'm enjoying all sides of this blogathon and have had to start another list of must watch movies. This sounds fantastic - I've been meaning to watch all the films Boris Karloff and Bela Lugosi made together, but this is going to top of my list. Especially since it sounds like Beulah Bondi gets a great role. I love to see her in other roles besides a mother (though she is one of the great film mothers). A time-traveling telescope...that would be seriously awesome! Thanks so much for participating! Beulah Bondi brought something different and special to all of her roles which must have been very satisfying to her as an actress. Some roles, like this one, look like they must have been extra fun to do. I hope that was the case. You sold me, this sounds like one-stop shopping for my kind of '30s horror: the cast, the silly, contrived plot, and wonderful inventions and effects. Karloff and Lugosi would be enough reason to see it, but the bonus Beulah clinches the deal. Actually, all three—Karloff, Lugosi, and Bondi would mostly be remembered for a single appearance, Bondi as George Bailey's mother. I hate that so many actors who had considerable range are remembered for one thing. Saw a ref the other day to Frank Wizard of Oz Morgan, and that role isn't at all representative of his work. Anyway, this sounds like tons of fun. Thanks for a terrific piece! "The Invisible Ray" will indeed give you everything you want. Even in her grandmother roles (contrast "So Dear to My Heart" with "The Southerner"), Beulah Bondi's incredible versatility is evident. Anyone who remembers Ma Bailey should see "Make Way for Tomorrow" and be prepared to be awed. If it is frustrating for we fans when others don't realize the depth in our favourite performers, imagine how it must have been for the actors. This one and THE BLACK CAT are the best of Boris-Bela teamings. 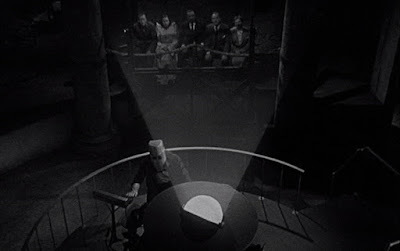 THE INVISIBLE RAY is a consistently interesting horror pic and I don't understand why it isn't shown more often. So wait... there is no actual ray that turns things invisible? Nope. That's the movie you will write out of your disappointment. I love me my 30's movies. Fun. That's what they are. Just plain fun. A little mayhem and a little revenge adds up to a lot of fun. I think the most fun is that we can enjoy so many movies from so many different eras. Appreciate the kind words, Joey. I find the movie quite compelling - especially Ms. Bondi's role. She's a character I would like spending time with. This sounds like a fun movie that leaves you with something to think about! I have always loved movies that contain time travel, too. You wrote a very detailed description with lots of interesting information, and I enjoyed reading your post! Thanks. There are many ways to enjoy "The Invisible Ray" and its "mad scientist". This was on last nite ( 8/19/2017 ) on Scengoolie and I fell asleep w/o DVR-ing, my guarantee against nodding off! Looks like I missed a bloody gem. 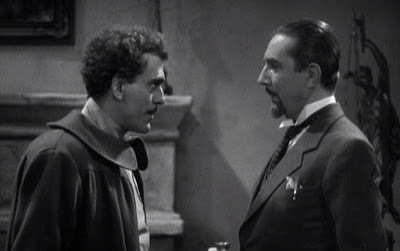 I always thought Karloff and Lugosi worked so well together and didn't camp things up. They played these scripts seriously...not for laughs. 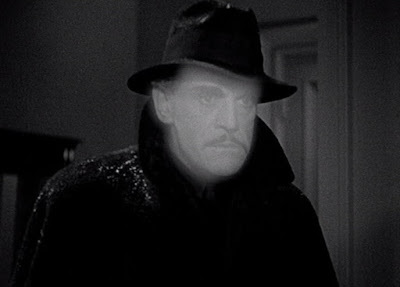 The last thing I saw before I zzzzzzzz'd off was Karloff as glow~stick and killing a dog with his touch. I'm annoyed at myself not seeing how Frank Lawton would turn out. Your review has me chuckling...and regretting I missed this. The only thing better than Karloff is a glowing Karloff. I used to think that when I started nodding off during a movie that it was the movie's fault, and maybe it was sometimes. But nowadays I believe it's just my advanced maturity. I'm glad you got some chuckles out of the piece. You never know when you put your jokes out there, if they will find a home.